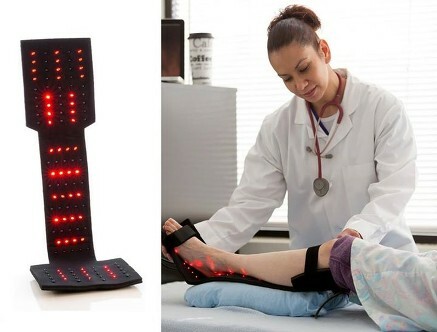 Laser and LED Therapy Actually Accelerates Healing of Injured Tissues, rather than masking the symptoms with medications. These light therapies stimulate cellular functions to produce vital chemicals necessary for damaged tissues heal on their own, without interference from pharmaceuticals. Our Clinic uses a state-of-the-art pulsed LED light therapy systems. Flexible neoprene pads are placed on the skin over an area of pain, injury, or where support and increased circulation are needed. 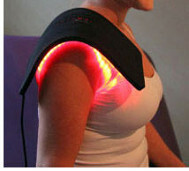 Therapy pads contain brilliant red, blue and near infrared LED's that penetrate deeply into tissues for rejuvenation. Resulting increases in circulation allow more energy and nutrient rich blood to reach challenged areas and promote wellness and pain reduction. The LED light system is a photo-modulated (pulsed, light emitting diodes) device also known as low-level light therapy (LLLT). The infrared and visible red are the heart of the LED therapy system, providing gentle but powerful non-coherent light. This system uses a carefully timed sequence of settings, known as pulses, to create an environment in which change may occur more rapidly. Disclaimer: Statements contained herein have not been evaluated by the FDA. The LED devices are not intended to diagnose, treat, cure or prevent any disease. Rome, Greece, and Egypt (Roetlandts, 2002). 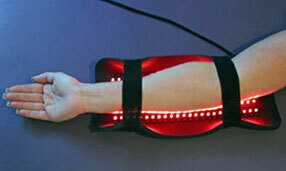 Who Has More Recently Studied and Used LED Light Therapy? Stanford, and the Mayo Clinic have studied and used LEDs for various healing benefits. What Is So Significant About Nitric Oxide? MD – received the 1998 Nobel Prize for Physiology and Medicine. shown to be essential for wound healing, even if chronic or traumatic. attack sites. In its gaseous form, nitric oxide has been used to treat infected wounds.